Fifty environmental groups are calling on Switzerland to match their words with action by fully banning mercury exports. Just weeks after Switzerland held the first COP of the Minamata Convention on mercury they are considering continuing to export the dangerous neurotoxin for some allowed uses. 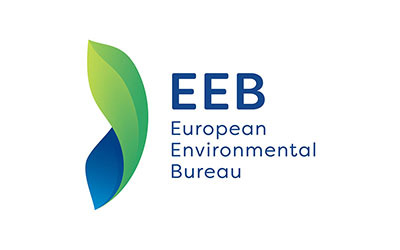 “Switzerland remains the weak link in Europe when it comes to allowing mercury flows to the rest of the world,” said Elena Lymberidi-Settimo, Project Manager ‘Zero Mercury Campaign’ at the European Environmental Bureau (EEB). The EU banned exports of mercury in 2011 but the Swiss mercury trade has continued. Some 50 environmental groups have come together to call on Switzerland to stop exporting mercury. Mercury is a dangerous neurotoxin and exposure can cause serious health problems. “Unfortunately, commercial interests are reportedly trying to convince the Swiss government to allow mercury exports dental amalgam, even though that use has been nearly phased out in Switzerland,” said Michael Bender, Director, Mercury Policy Project, USA. “We strongly urge Switzerland to reconsider implementing only a partial export ban,” Dr Shahriar Hossain, Senior Research Advisor, Environment and Social Development Organization-ESDO, Bangladesh. Advocates say that it may be difficult to ensure that exported mercury will only go for intended uses and that any controls will not be circumvented for financial gain, or that mercury may change hands further down the chain. With the price of mercury doubling in the last year alone, financial incentives to circumvent any informal agreements or regulations have only increased. The Swiss Federal Council’s decision is expected tomorrow Wednesday 25 October.